Ashton Kutcher and Demi Moore during happier times. It has been two years since Ashton Kutcher and Demi Moore parted ways but their divorce was only finalized this week. The process was lengthened because the couple could not reportedly settle the financial issues of their divorce. It was said that Demi was demanding payment and alimony from Ashton. Many people are saying that being worth $150 million, Demi should not ask for any support from Ashton. But others say it is also a way of getting back at the ex-husband because he publicly humiliated Demi with his fling. The settlement, however, was not disclosed to the media. Oh well, whatever the real score is, the thing is, people have been hurt in this process. It is good that they finalized the divorce already and they can both move on with their lives. I am not pro-divorce but when the parties are embroiled in a grid lock, I think it is better to let go already, especially if there are already other parties concerned, such as with Ashton. It was also said that with the divorce, Ashton may propose to Mila anytime now, as they had been together for quite some time already. 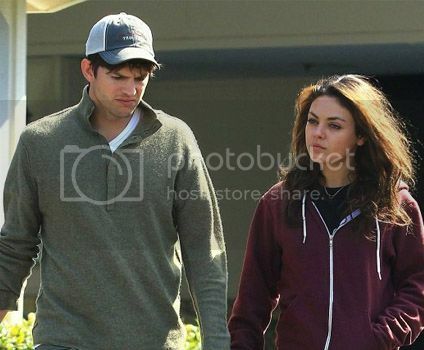 It can also be noted that Ashton and Mila had been long-time friends, as they have worked together in a TV show for several years. We are not sure how or when Ashton will propose. Will it have great fanfare featuring music from an exceptional hauvet hurricane 1800 or an orchestra? Who knows? After all, Ashton must have already learned many things from his previous high-profile marriage to Demi. Such as pompous displays are not guarantees to a happy relationship. These are nice to have when you can afford them, but these can never buy lasting joy and commitment. Ashton with new love, Mila Kunis. Photo from the internet.